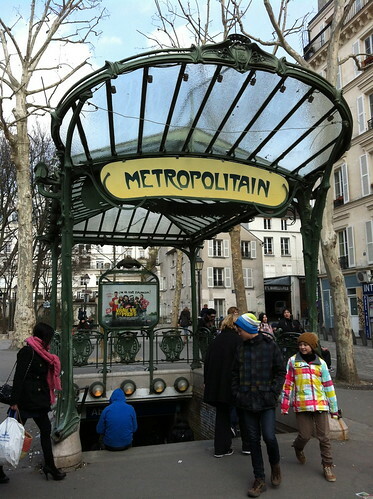 Abbesses Station in Montmartre, Paris, France. 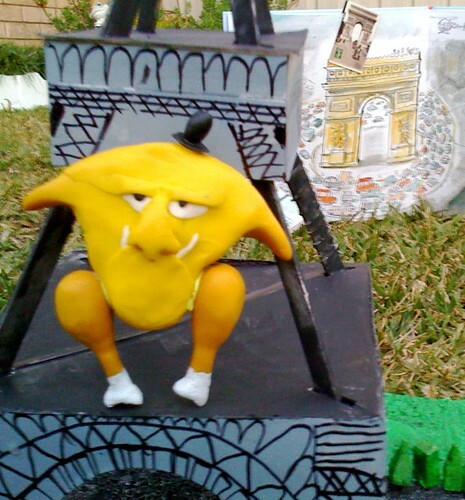 Monsieur Poulet was crafted from yellow, black and white FIMO Soft oven-hardening modelling material. 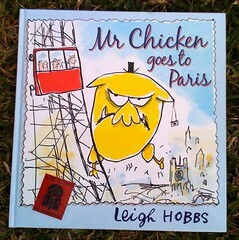 Background artwork is from “Mr Chicken goes to Paris” by Leigh Hobbs (Allen & Unwin, 2009). 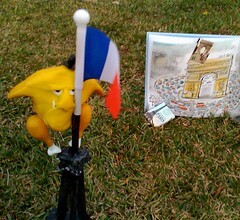 I bought my copy of “Mr Chicken goes to Paris” the day it came out. It was one of those books you just couldn’t leave behind in the shop. Earlier this year, when the CBCA shortlist came out, I grabbed a copy for school. 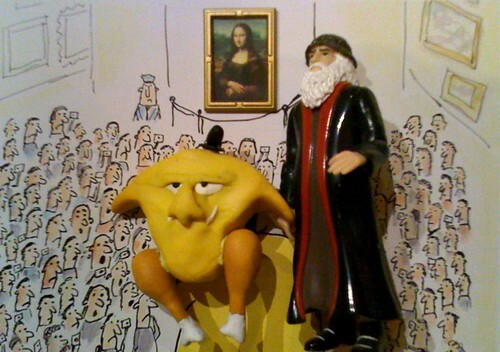 At first, I thought I’d have to forfeit mine. Mai non! 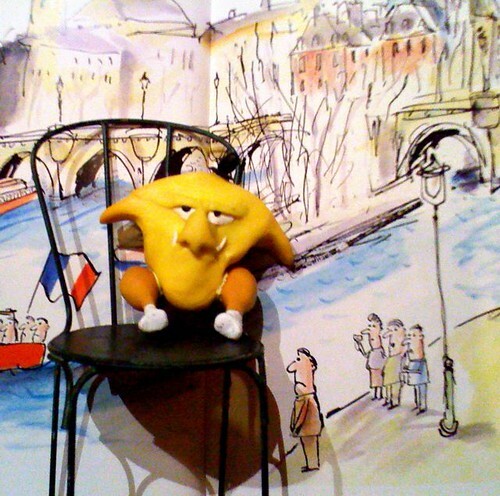 His young colleagues were telling me, “We all have to just ignore him.” We kept reading, of course, but I had to avoid saying those magic words, “Mr Chicken”, hence the main character was “Monsieur Poulet” throughout! UPDATE: Okay, I think I’ve just managed to upload my book trailer as a VIDEO PODCAST! Music: “Parks On Fire (California Burning Mix)” by DJ Rkod (feat. 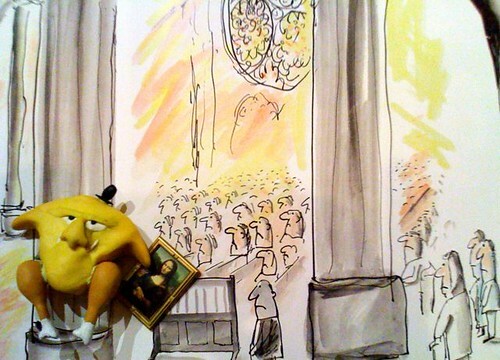 Trifonic). http://ccmixter.org/files/DJ_Rkod/14745 is licensed under a Creative Commons license: http://creativecommons.org/licenses/nc-sampling+/1.0/.